2.Q: What is your warranty condition and how is your warranty claim procedure9 A . Within the warranty period, no cost necessary for spare parts if approved by us. 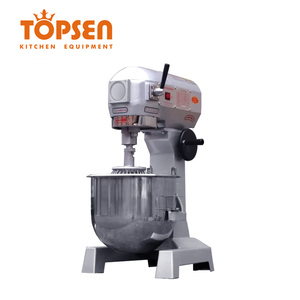 After the expiration of the warranty, Topsen will also supply the spare parts with reasonable price. 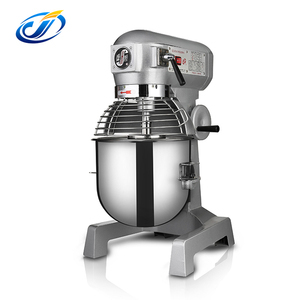 Guangzhou Jimark Food Machinery Co., Ltd.
20L Planetary mini food mixer Product Feature 1.GL Series Spiral Mixers is a new type of dough mixer. 3.All parts in contact with food are made of stainless steel with specially treated surfaces. 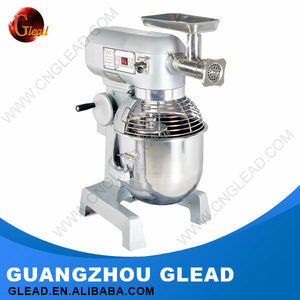 5.Widely used for dough mixing work in bread bakery houses , hotel , restaurants and company canteens. 1.The B series planetary mixer that my plant newly produced absorbs the advanced technique from abroad. we founded in 2007,and have got a big share in market with high technical strength ,have regular trades with over 45%of the countries and regions in the world. we are manufacturer,so the products can be customized according to your demand ,and the unit price can be negotiated on the basis of your quantity. 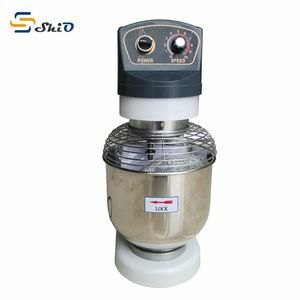 Commercial 8kg 10kg 12kg 14kg food mixer/egg beater/planetary mixer spiral dough mixer/sprial mixer/b20f food mixer Item No. 2.The machines are complete with 3 types of agitator and have 3 grades of speed for different mixing purposes like stuff mixing, flour mixing , egg beating and etc. 3.Stainless steel or steel with specially treated surfaces, which are endurable in use and in conformity with national food hygiene standard. 2. 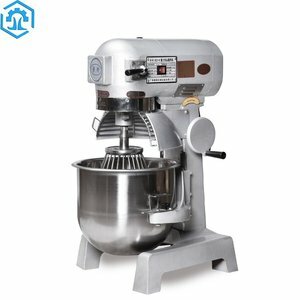 Please don't let solids mix into the bowl, the machine may be stucked ,it is harm to the machine. 3. Do not keep the machine working stopless for a long time,let it have a rest. 5. If the machine cann't work, it is better to let the technician to repair it. Foshan Hargsun Food Machinery Co., Ltd.
Q3: Sample order available9 Sample is available; what&rsquo;s more, further changes are acceptable. Q5: Customized type is acceptable9 Yes, it is acceptable. If you come to factory, you could also use Visa or Master card. Shanghai Honglian Machine Electric Appliance Co., Ltd.
2.We have technicists and patent technicals, so we can solve all your questions and problems occured when operating. We are insisting on offering high-quality products with the best prices and excellent services to all our customers. 2.We have technicists and patent technicals, so we can solve all your questions and problems occured when operating. 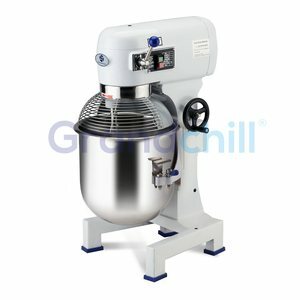 Alibaba.com offers 145 b20f food mixer products. About 26% of these are food mixers, 4% are other food processing machinery. 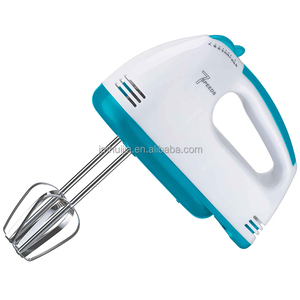 A wide variety of b20f food mixer options are available to you, such as dough hook, flat beater, and mixing bowl. You can also choose from bowl-lift design, beater ejector button, and tilt-head design. As well as from stainless steel, plastic. 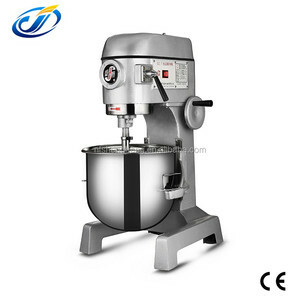 There are 65 b20f food mixer suppliers, mainly located in Asia. 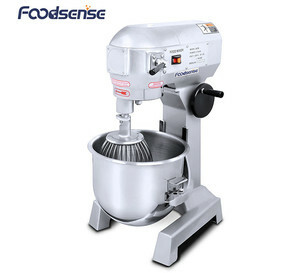 The top supplying country is China (Mainland), which supply 100% of b20f food mixer respectively. 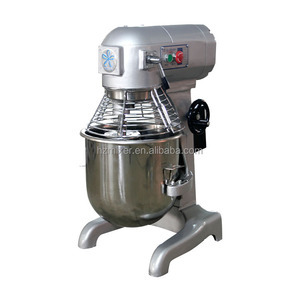 B20f food mixer products are most popular in Southeast Asia, Mid East, and Western Europe.